which is simply, easily and safely peeled away. It is especially efficient for fire damage cleanup. • Existing salts are not dissolved again in the stone mass. • No risks for underlying works of art. • No risks for staining. • No formation of mildew. • The pores are also cleaned. • The deeper profiles are also cleaned. • No attacks on gypsum restorations. • Very economic method for cleaning (airless spraying). • No risk of pollutants migrating into the capillaries of the surface. Brush, roller, spatula or airless sprayer. Consumption per m2: 0.7-1.0 kg on even surfaces / 1.0-3.0 kg on uneven surfaces. Film Thickness: 2-3 mm - Drying period min. 24 hours max. 36 hours. For more than 30 years the German company Rivolta has been the supplier of high quality maintenance products to the European industry. Rivolta's high-tech, special cleaning systems and fully synthetic oils for corrosion protection are well known and highly respected by industry experts. 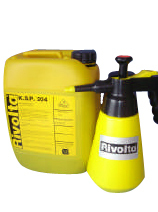 NAC offers the European disaster restoration industry Rivolta’s user-friendly K.S.P. oils for quick, super efficient corrosion protection, in case of water damages to industrial machines, parts and similar. K.S.P. gives an excellent corrosion protection. The extremely low surface tension of K.S.P. provides a quick and efficient coverage of the surfaces to be protected. The high creeping ability (capillary activity) ensures, that the product in an effective way penetrates into small cracks and crevices. K.S.P. forms a thin and especially tight molecular film on metal etc. This film prevents the formation of rust and guarantees an extremely efficient temporary corrosion protection. K.S.P. has a strong water - and moisture displacing effect. condition and value - hereby a lot of money is saved. In case of long-term corrosion protection use K.S.P. 317/325. Talk to us - if you have any doubts. 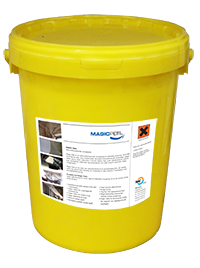 Bio-degradable, highly concentrated safety rust remover. • Free of mineral acids - environmentally friendly - really good material compatibility. 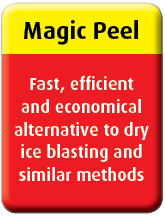 • Removes rust, iron scale and other corrosion residue and limescale deposits. fleets, food industry, wastewater treatment plants, etc. to 70°C will improve the dissolution considerably. cleaning. Also suitable for ultrasonic systems. and zinc-coated surfaces. 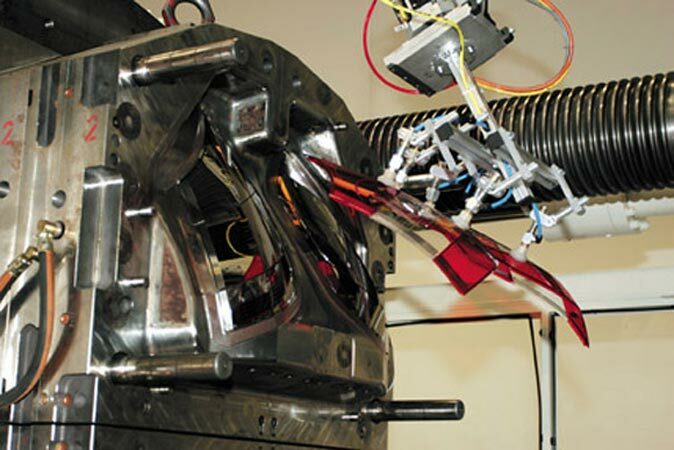 After the treatment aluminium has to be flushed with water. B.S.E. contains corrosion inhibitors because of which shiny metal parts are protected against corrosion after the treatment. 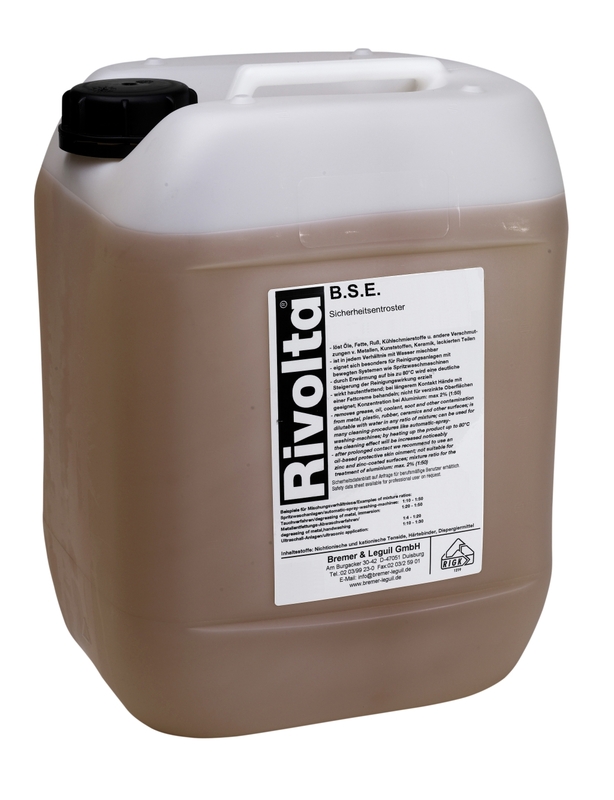 To achieve long-term protection follow-up treatment with RIVOLTA's corrosion products from the K.S.P. product group. Free of hydrochloric and phosphoric acid. Skin protection cream for use with water soluble substances. Use SamoLind wherever there is a need for perfume-free skin protection in connection with water soluble substances. It is suitable for use in kitchens, care homes, clinics, industry, hotels, restaurants, etc. 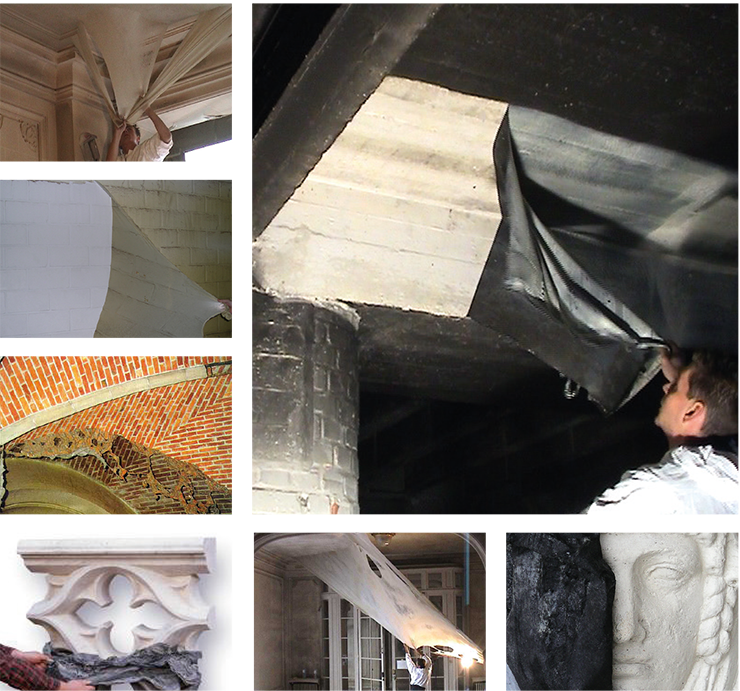 SamoLind protects the skin from direct contact with aqueous, skin irritating and harmful working substances such as water, alcohol, food substances, disinfection solutions, acids, lye, salt, lime, cement, plaster and water-soluble cutting fluids as well as dishwashing and cleaning products. Use SamoLind before working with Serum 1000, MicroKill, alkaline and acidic cleaning fluids etc. • Protects the skin against aqueous solvents and harmful substances. • Strengthens the skin’s natural barrier. • Absorbs quickly and leaves no greasy residues. • Free of perfume, colourants and silicone. • Helps the skin’s natural rejuvenation process.